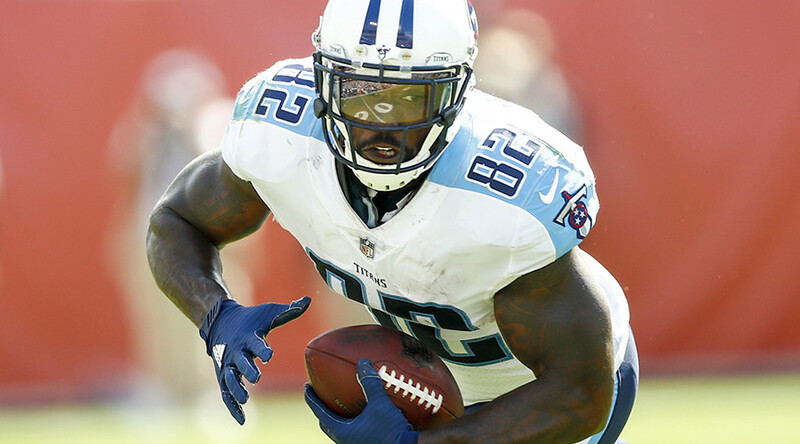 NFL player Delanie Walker has shared details of death threats levelled at his family after he told fans to stay away from games if they disagree with the #TakeAKnee anthem protest. The Tennessee Titans tight end attracted severe criticism for his stance which he outlined earlier this week. “And the fans that don’t want to come to the games, OK, bye,” Walker said to the media. Walker and the entire Titans team remained in their locker room during the anthem before last Sunday’s clash with the Seattle Seahawks in Nashville. The footballer responded to the death threats leveled at him and his son in a post on Facebook. “The racist and violent words directed at me and my son only serve as another reminder that our country remains divided and full of hateful rhetoric,” the tight end wrote. Walker isn’t the only person on the receiving end of death threats in the aftermath of the game in Nashville. Singer Meghan Linsey, who knelt while singing the national anthem, has told the Tennessean of the abuse she has received following that demonstration.